Raising kids does not come with a manual! Before I had kids I thought it would be so easy, that it “all comes so naturally”. Well, unfortunately, it’s not really like that. You love your kids and want to do the very best for them but what exactly does that mean and what does it look like? There are lots and lots of books out there that give you tons of (often conflicting) advice so where do you actually turn? Grandparents! They have the wisdom of reflection and can give you honest and heartfelt advice. The beauty of being a grandparent (according to my Dad) is that you get “ the very best bits of parenting”. I’m so lucky that my parents were very involved in raising my children when they were born until they were 5. Whilst we may have moved countries and are not close geographically to them, they are still very much involved in my children’s lives and for that, I am so grateful. My children have 6 grandparents between them and so they are very blessed to have such wonderful influences in their lives. A simple diversion often works better than a battle of wills – especially when the children are smaller. Look after the pennies and they will become pounds – another old adage – which I interpret as meaning don’t be wasteful. If you don’t need it give it to charity. Don’t avoid looking or try to ignore disabled people – they are not invisible – they should be treated equally. Doing a good turn for someone does not always have to be public knowledge. I love all these, thanks Mom, I love you! What was your favorite piece of wisdom? 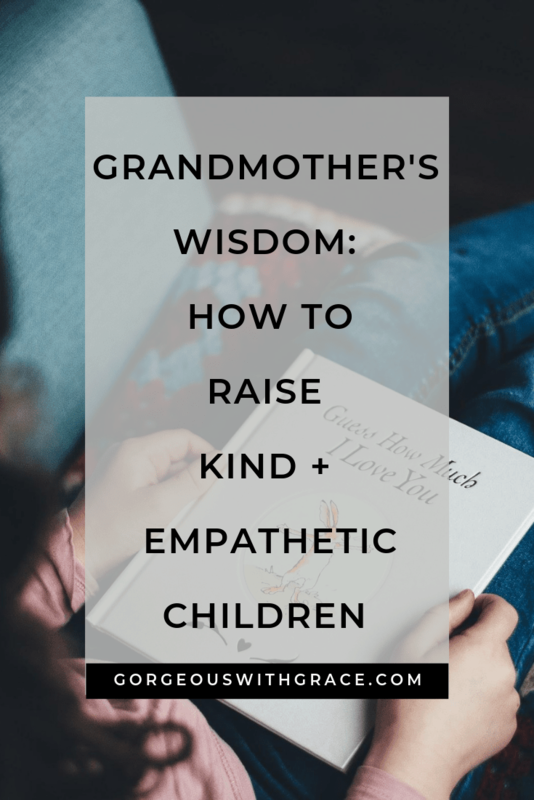 I would love to know what words of wisdom really resonate with you as a parent.